a mental and physical challenge in a constantly diverse environment. With eighteen distinct holes on a golf course, fourteen different clubs to utilize, and various demands ranging from the effects of the weather to the length and type of grass on which the sport is played, golf is a complicated game. The location of the flag stick, the severity of a slope, the direction and strength of the wind, inner fears and prior successes all merge together to present a wonderfully diverse experience – not just every round, but every shot. Laying out a golf course onto a piece of property begins with an understanding of the movement of the land and is followed by a routing that flows between moderate and challenging situations, both discovered and fashioned. By utilizing different compass points, lengths, angles, drops, and climbs, diversity is achieved while simultaneously reaching the goal of balance. The land is shaped and blended with purpose behind every contour and feature, accentuating the lows and highs on subtle property while softening the severity of pitch on a demanding piece of land. Designing a golf course incorporates three principal influences: strategic, mechanical and aesthetic. The strategic influence begins with the general layout of the golf course, how it blends with the land and its surroundings, and whether it is balanced so as not to favor one type of shot or any particular player. The strategy must consider the length of each hole, the direction each may take, tee locations and width of fairways, the turns left and right, the positioning of bunkers, and the size and configuration of each green. Strategic design is intended to cover the scope of all potential players’ abilities, with bunkers and other hazards, such as water, trees, slopes and even rough, used as strategic elements. The mechanical influence of the golf course also initiates in the design phase. The course must be designed with maintenance in mind, as conditioning will be a major factor in the overall quality of the course. The land must drain properly, insuring quality turf and restoring playing conditions quickly following inclement conditions. Putting surfaces should boast an abundance of hole locations and adequate access to and from the complex. Bunkers are shaped and located to reduce washing on the faces and cart paths should be accessible yet not obtrusive. Finally, we consider the aesthetic influence. With a routing that touches all of the natural features a property has to offer, memorable holes will be revealed and created. 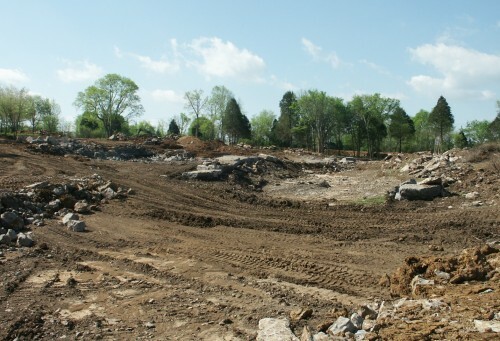 Water features will be exposed and enhanced, while newly graded areas will blend with the existing lay of the land. 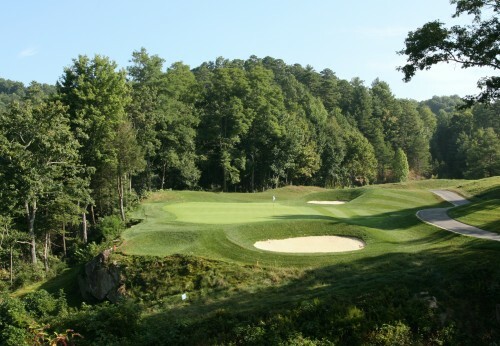 Mentioned as strategic components, elements such as bunkers, trees, water, and slopes are also used to attract the eye and draw attention to the natural beauty of each hole. 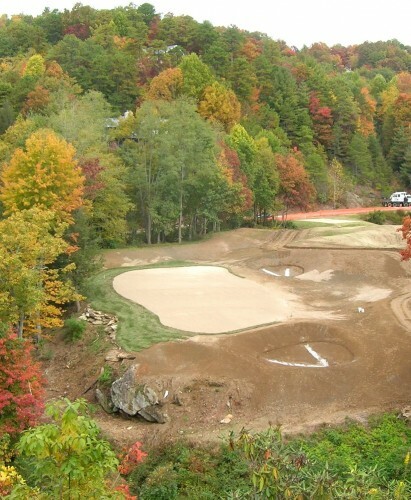 Constructing a golf course also includes three main components: planning, budgeting and supervising. 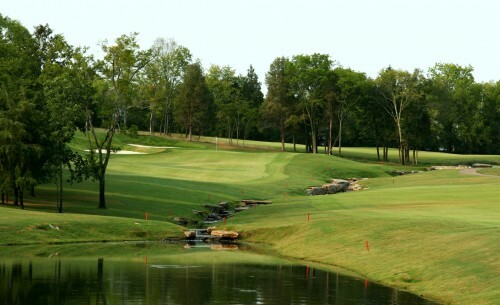 Detailed planning allows Bergin Golf Designs to provide superior design services. Our plans are thorough, insuring that all aspects of the design are properly documented, reducing any problems that may arise among the designer, the contractor and the owner. Such detail is extremely important in accurately forecasting the construction costs and enabling the contractor to carefully execute the vision of the architect. Our budgeting process covers each individual hole, line item by line item, and facilitates the construction supervision process for all parties. Bill Bergin is typically on-site once per week during the construction phase, insuring that the golf course is built as planned and that construction proceeds smoothly and according to schedule. #14 – Foxland Harbor during construction. Bill Bergin’s strategic knowledge and design background are exceptional. A golf course designed or renovated by Bergin Golf Designs will be strategically sound and designed with balance, beauty and efficiency in mind. Bergin’s passion for his work and the game of golf contribute to his ability to create exciting, thought provoking and rewarding golf courses that are memorable for players of all levels. #14 – Foxland Harbor post renovation.